Felted soap is a bar of soap and a washcloth in one! Acts like a natural loofah, has antimicrobial products and makes the soap last longer. Large mixing bowl, preferably plastic. Felting needle (available at HOKC). Will provide felt, felting mold for leaf shape, and soaps. 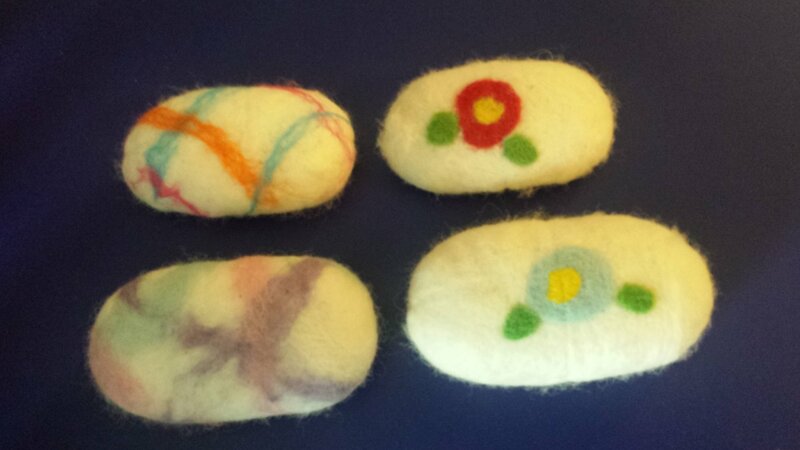 Felt, felting mold for leaf shape, and soaps. Includes felt, felting mold for leaf shape, and soaps.